More Magazine, whose tagline is “For Women of Style and Substance” had a spread about the “new feminists” in their November issue. The picture above accompanied the piece. I was included in the group of 15 women featured (although not pictured above). Why was I included? Probably because I know (and am friends with) Courtney E. Martin, Editor at Feministing.com, also included in the feature and who helped the Editor at MORE recruit participants. The selection of women included in this spread wasn’t selected by any particularly rigorous process (that I know of), and it was probably more about who knows who than a real cross-section of young feminism. There are many, many folks who are really key parts of the feminist movement who were left out of the feature. There are some serious representation gaps, too. Only four of the 15 folks featured are people of color. Most of them reside in NYC. There appears to be little to no representation of folks with disabilities. I might be the only queer person included. There were no trans folks in the group. Almost everyone is college educated. The list of people and groups missing could go on and on. As flattered as I am to be featured in a national magazine for my work, I don’t think this group of folks (many of whom I love and respect) are truly representative of feminism’s future. Two of the women included in the feature are conservative women. Their politics don’t fit within my definition of feminism (Jessica Valenti agrees). A panel discussion last week that came out of the magazine feature replicated these problems live and on stage. Jessica has a round-up of responses written by others, but I was there and it was a tense evening, to say the least. I’ve been speaking a lot lately about what I see as feminism’s identity crisis. This crisis has many faces, and almost all of them were represented during the panel last week, and by the MORE Magazine feature. It was honestly really difficult to watch. Why is feminism in crisis? Feminism is in crisis because we don’t know who our allies are. Can anyone be a feminist? The debate about whether conservative women, particularly far right-wing women who often oppose most of the policies of the feminist movement so far (abortion rights, equal pay legislation, etc), are feminists is raging. Are we willing to say folks with certain views can’t be feminists? Feminism is in crisis because we don’t know what our agenda is. Some feminists (myself included) want to push for prioritizing an intersectional feminism that brings a gender analysis across issues and movements. That means environmental justice work can be feminist, immigration work, racial justice work, economic justice work. It can all be feminist, as long as we bring a gender lens and understand how gender impacts those issues. Others argue that only certain issues (usually those most narrowly impacting privileged white women) are feminist. Feminism is in crisis because mainstream leaders and organizations consistently neglect the needs of people of color, queer folks, immigrants, disabled folks, low-income folks. The mainstream agenda remains too narrow and too focused on the needs of privileged white women. This despite the fact that feminists from all backgrounds have been pushing and pushing, creating their own feminism(s) to rectify this problem. A quick look at the demographics of feminist leadership might shed some light on why this is an ongoing problem. Feminism is in crisis because we’re not sure what to do with the “women’s movement” in an era where gender categories, binaries and roles are being questioned. What’s the role of men in feminism? What about trans and gender non-conforming folks? Is a movement centered around the identity of woman the most useful and effective today? How do we move forward without perpetuating harmful ideas about gender difference, and include folks of all genders in the fight for gender justice? I have strong feelings about the answers to most of these questions. But the reality remains that these fundamental identity questions, and our ability to resolve them, is going to shape where feminism goes from here. 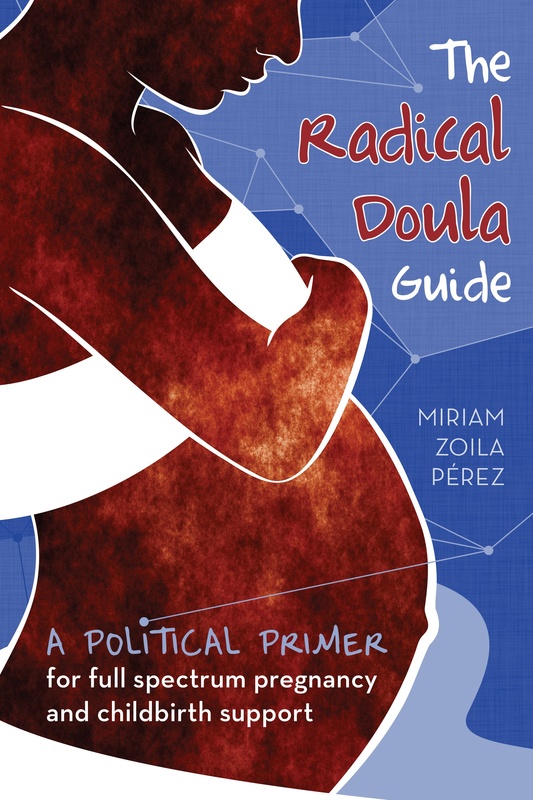 Again, I’m flattered that my work (particularly since they highlighted Radical Doula and the full-spectrum doula movement) was featured in a mainstream magazine. I’m excited that a whole slate of older women readers (MORE’s primary audience) will see the names and soundbites of a number of younger women they’ve never heard of. But the article does a better job representing the challenges of the feminist movement than representing a broad view of it’s leaders. Everyone included is a leader in their work, in their movements, in their world. But there are way more people out there who make feminism the diverse, vibrant and thriving movement that it is today. Let’s not forget that. I FINALLY sat down and caught up on my magazine reading (addiction…). I was pleased to see feministing and YOU mentioned. Thanks for reading and commenting Morgane. I’m sure I missed folks in the categories I mentioned–so apologies if anyone felt left out or invisibilized by my generalization. I’m glad to know there was more queer representation! The event looks great, I’m so glad you all are spearheading it.